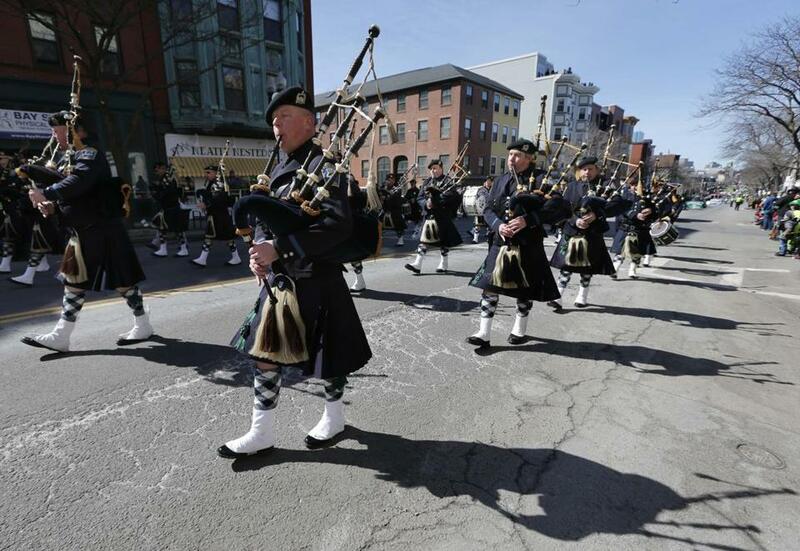 The Boston Police Gaelic Column marched in the St. Patrick&apos;s Day parade in South Boston in 2014. Organizers of South Boston’s St. Patrick’s Day parade on Monday night approved an application to march by OUTVETS, a group honoring lesbian, gay, bisexual, and transgender military veterans. The vote by the Allied War Veterans Council, which won a landmark US Supreme Court ruling in the past that allowed organizers to ban marchers who proclaimed their sexual orientation, could be a significant development in the annual dispute over the inclusiveness of the parade. In November, OUTVETS became the first such group to march in Boston’s Veterans Day parade. The organization was founded in September and describes itself as a nonpolitical outfit created to honor the contributions and sacrifices of LGBT veterans. In its application, OUTVETS said it included “LGBT veterans” and had no political or social agenda. They plan to march with a banner that includes symbols representing the military, the struggle of the gay community, and St. Patrick’s Day. The Allied War Veterans Council voted, 5 to 4, in favor of OUTVETS, according to its founder, Bryan Bishop, who addressed the council. Bishop also noted that OUTVETS is not a political action group seeking to break barriers. The organization honors all veterans, he said. Mayor Martin J. Walsh tried to broker a deal with the Veterans Council to allow a gay rights organization to march in this past year’s St. Patrick’s Day parade, but after an apparent breakthrough, negotiations collapsed. For the first time in years, Walsh refused to walk in the parade. Ultimately there were at least two contingents that marched with gay members, although they participated with South Boston community groups rather than as part of a gay rights organization. Since March, Walsh and other elected officials continued discussions with parade organizers. Mahoney said that the OUTVETS application followed discussions with Walsh, state Representative Nick Collins, and other elected officials in South Boston. The parade became a battleground for the gay rights movement in 1992, when parade organizers rejected an application to march from the Irish-American Gay, Lesbian, and Bisexual Group of Boston. The fight landed in the US Supreme Court, which handed down a unanimous ruling that said the march was a privately organized event protected by the First Amendment right to freedom of speech. Organizers had the right to include — or reject — any group they wanted. Bishop said OUTVETS has 50 to 60 members.